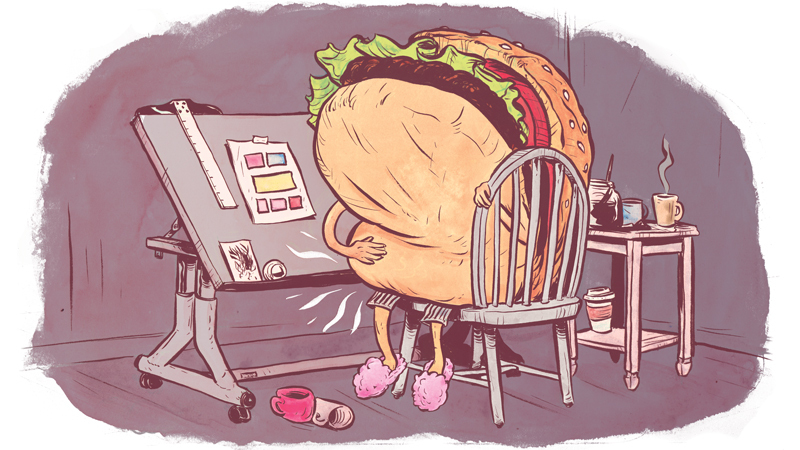 Eating can be tough to remember when you’re a freelancer. I love to cook, but deadlines and balancing a regular life can make certain things fall by the wayside. Under stress, I can forget to eat completely for hours on end and then realize in the midst of a fit of yelling at my computer or my cats that my rage is probably due to my guts gnawing away at themselves. In my busier days, crockpots and slow cookers were my best friend, because it’s something I can throw into early, forget for hours, then have food when I need it. Primarily, I’m a soup guy. Hot, hearty, and fills your house with a comforting smell while it cooks across the hours. It’s something I can make in massive quantities and eat across the span of a couple days and pretty much all of them store well and aren’t hurt when re-heated. I’m an experimental guy in the kitchen, which has lead to some culinary disasters that would make most people choke. When you live lean or are hand-to-mouthing it as a freelancer though, you feel bad about the idea of throwing things out. I fully commit myself to a bad meal when I make it. I committed myself to a rice dish that mixed chicken livers and octopus while trying to replicate something I had at a Cajun restaurant that has since gone out of business. Now, before you run screaming from the guy who claims to know how to cook after just making that admission, I’d like to make the assurance that the following chili recipe has A) won a couple of local chili cook-offs B) been the hit of many a day-job potluck and C) also been made for a vegetarian ex who liked it so much that she took the recipe beyond the end of our relationship. ** This one’s bonified! Let’s start with what you’ll need! The good thing about making soups is that a lot of this stuff can be adjusted according to your tastes. This recipe is the one I typically make as my “show off” version. The one I make for myself tends to run a bit spicier. AND ABSOLUTELY NO NOODLES! If you put noodles in chili, you’re not eating chili. You’re kidding yourself and eating spaghetti with beans in it. First order of business is browning the meat if you choose to use it. You’re going to want to start that up with a little bit of oil as well as the cumin and smoked paprika as you break the meat up. Once everything is nice and brown, drain off any excess grease you’re not comfortable with (I do recommend leaving a little in the pan, however.) and then add the diced onions and any peppers you intend to add and move it around with the meat and excess grease until they start to brown. Chuck everything else into the pot with the meat/onion/pepper/garlic mix. For each can you empty into the pot, each empty can with water and dump it into the mix to get any remaining flavor out of the cans. Add a lid, turn up the heat until it starts to boil, then bring it down to a simmer. Stir occasionally over the next couple hours on the stovetop (or overnight in a crockpot) and have an occasional taste to see how the ingredients are coming together. ** To do the vegetarian version of this recipe, simply substitute meat for faux meat crumbles and don’t worry about cooking them beforehand. Instead, brown the onions and peppers together and throw the meat crumbles into the pot when you’re throwing in everything else. I’ve also done it without any sort of meat substitute. The trick to that one is adding more cumin, which best replicates the taste of beef to my pallet.